The fabric is from my stash, a John Kaldor print on stretch cotton sateen. I’d bought it for trousers for myself about 3-4 years ago, but then Daughter no1 bagged it for something for her. We never got round to choosing exactly what to make with it, it’s always tricky cutting into nice fabric when you’re not 100% sure of what you’re wanting. 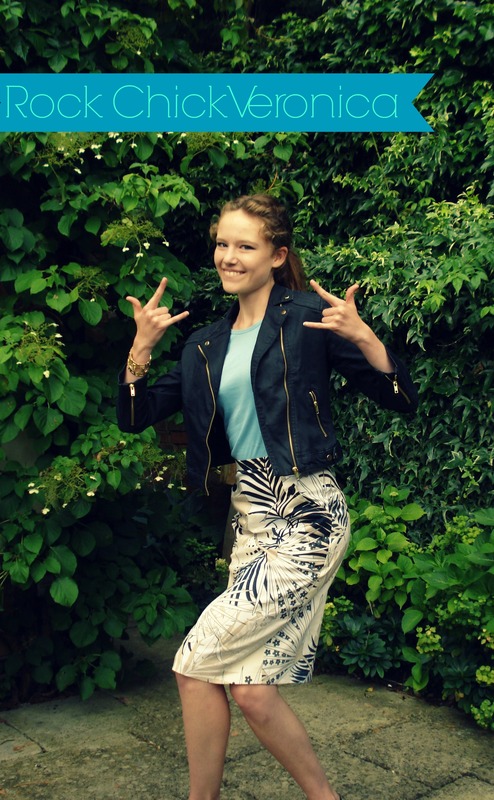 This week I finally made her some trousers from a Burdastyle mag (which she loves! ), and had enough left over for something else. This skirt, for example! 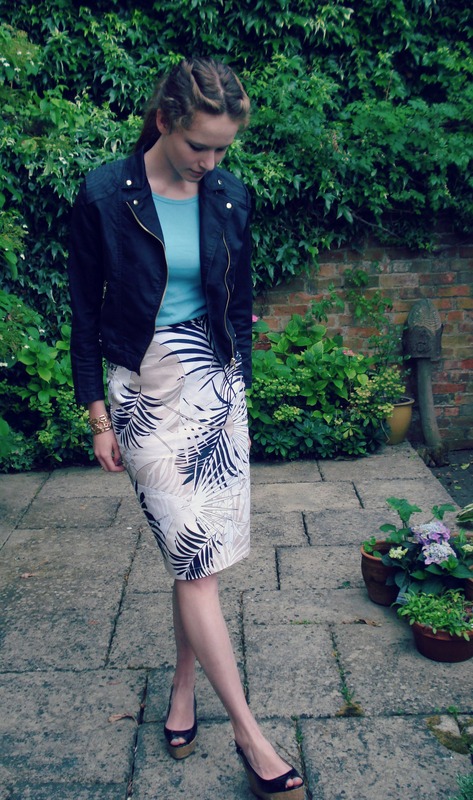 What can I say, I love this print in this skirt, & I love it even more with the black biker jacket & wedges! I didn’t match any patterns, with only 1m left over there was no way of doing it, besides, I kinda like the way the pattern gets chopped up & re-assembled. It’s a bit subversive, isn’t it? I hope you’re all getting ready for the tutorial on how to make your own version of this, and of Barbara. I have been working on 1/4 scale versions of the pattern, hopefully next week it will all be ready to post. I leave you with one final look at the funky pockets & buttons. In the mean time, I need to crack on with a new outfit to wear to the Mercedes Benz Club’s annual SL Day next weekend. Typical I decide I want something new to wear with only days to spare…. She’s loving pencil skirts, lets hope the love stays the course! These pieces are great. How stylish! Chic and stylish. Love it! Gosh what a good idea to ‘make’ the senior college students wear business wear. We all slouched around in sloppies and ripped jeans, if I remember rightly.